The late Brigadier General Emilio Munemo, a former commander of the notorious Fifth Brigade which is accused of carrying out a genocide in Matabeleland in the 1980s, has been declared a national hero. Delivering the message to the family at their residents in Hatfield this evening, Vice President Kembo Mohadi said members of the Zanu-PF Politburo unanimously agreed on the Brigadier General Munemo’s hero status as they testified on his contribution to the country both before and after independence. Munemo, the father of political rouble-rouser William Mutumanje, died on Monday following a long illness. In 1982, Chivi-born Munemo commanded one of the three Fifth Brigade battalions, initially stationed in Zvishavane, Midlands province. At the end of that year, in December, he was promoted from battalion commander to deputy commander of the Fifth Brigade, then commanded by Perrance Shiri. Munemo, in a 1996 interview, said in this new role he was mainly concerned with administration and logistics while Shiri was in charge of training and operations. In April 1983, Munemo was promoted to commander of the Fifth Brigade after the British Army invited the then Brigadier Shiri to attend a senior officers' course at Britain's famous Military Academy, Sandhurst. After commanding the Fifth Brigade, Munemo went to Nigeria for further studies. In the interview with KP Yap, a doctoral student at the University of Amsterdam, Munemo revealed how the Fifth Brigade waged war against innocent civilians in Matabeleland, arguing it was impossible to separate them from dissidents, the army deserters the government was attempting to track down. By the time the Fifth Brigade was withdrawn, human rights groups say at least 20,000 people were dead and countless others displaced. The Fifth brigade perceived it to be "difficult, if not impossible, to operate against the military men themselves," Munemo said justifying the large number of civilians killed. "There was no way the civilians were not aware, not part of it. The farm boy you see during the day is the guerrilla at night. It would not have been possible for any military operation to be conducted sorely against armed bandits," he added. Munemo said all the brigades involved wanted to deliver "the final solution to the Prime Minister" Robert Mugabe. The term "final solution" was used during World War II with regard to extermination of Jews. Munemo admitted that the Fifth Brigade was overwhelmingly a 'Shona' tribal military unit which saw as part of its mission "settling old scores" with the largely Zapu-supporting Ndebele population in Matabeleland and the Midlands over historic Ndebele raids on the Shonas. "The blunt truth is that we are dealing with a situation in which there was a forced feeling of superiority and inferiority complexes between the two tribes. That is the truth. A subsequent explanation was that it was a clear question of settling old scores between the two tribes," Munemo recalled. 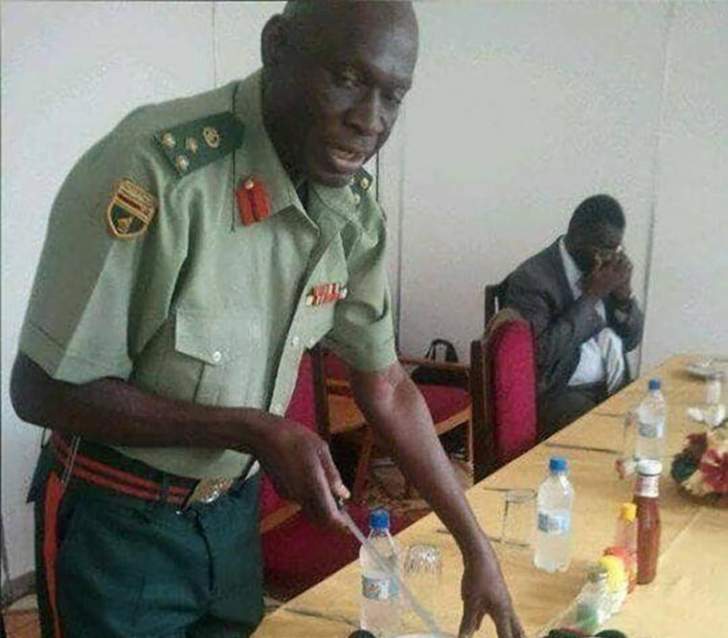 His view was that once Zanu-PF, the ruling party, claimed the Fifth Brigade as "its" army, this also translated into an ethnic pro-Shona claim, which influenced the brigade's transformation to an ethnically and politically biased brigade. Terror tactics used by the Fifth Brigade also had culture-specific tendencies. Being aware that burial and mourning where tears of the living release the soul of the deceased were central in Ndebele culture, Munemo said soldiers would refuse to allow corpses to be buried. Instead, they let the dead decompose publicly, and killed family members who wept. The civilians responded to this overtly ethnic aggression by at times claiming Shona identity, and this often led to some confusion, Munemo said. "Due to this, a lot of soldiers lost steam, in terms of steam to hate," he recalled. According to Munemo, the government having firstly chosen to conduct counter insurgency operations, and secondly, the crisis being highly politicised and ethnically polarised, required government decision-making. When the orders had filtered down to the operational level, ethnicity crystallised further. On that level, in Munemo's view, ethnicity was central: the political contest between Zanu and Zapu amalgamated political and ethnic identity into the enemy being an insurgent firstly of Ndebele origin, and secondly with Zapu as political affiliation. Munemo said when the Fifth Brigade was fully set-up and ready to deploy, Mugabe gave Shiri a flag with the word "Gukurahundi". "Gukurahundi is the rainfall that comes around September. 'Hundi' is the shaft that remains in the harvesting area after you have been thrashing your harvest. ‘Gukura' is to sweep away. That is the context. If you have shaft in our society, you need to clean it," Munemo explained. Munemo's son, William Mutumanje - who known as Acie Lumumba - revealed in 2016 that he grew up with a stepfather who had DRC and Malawian decent. Mutumanje said he did not know until 2015 that Munemo was his father, a discovery he described as "nerve-wracking". Brigadier General Emile Munemo was among the first students to graduate from the National Defence College in 2013. He had been promoted to the rank of Brigadier-General by former President Robert Mugabe in 2010. Munemo was the Director General Civil-Military Relations in the Zimbabwe Defence Forces.